Our Spring Tower celebrates a season of buzzing bees and forest floors replenishing with green. 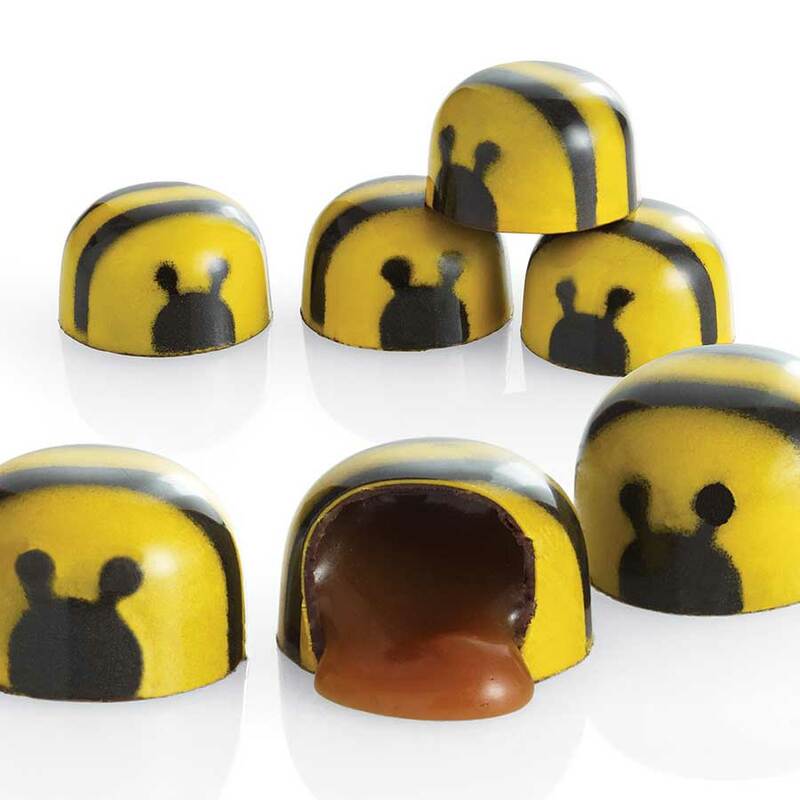 The bottom layer of this tower contains 16 pieces of our wildly popular Chocolate Honey Caramel Bees in a bright yellow boutique box. 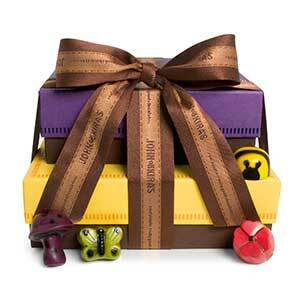 This is topped with 9-pieces of our Enchanted Forest Trio nestled in a stunning purple boutique box. 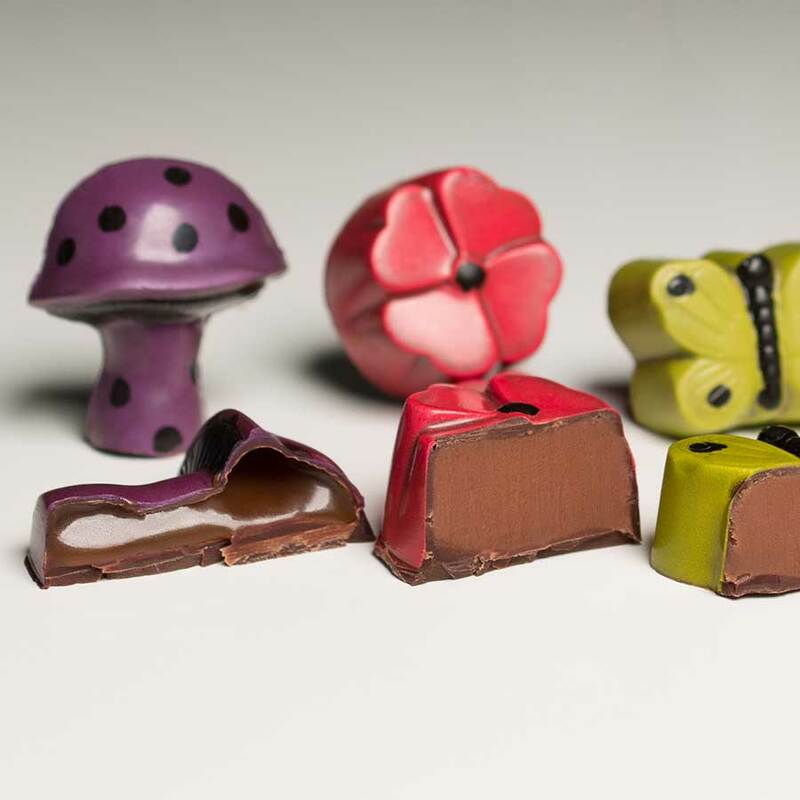 The Trio contains three purple caramel Magical Mushrooms, three green garden mint Mystical Butterflies and three pink Chocolate Wildflowers filled with a white tea ganache with a hint of rose. 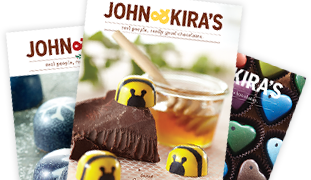 John & Kira's kitchen handles wheat, tree nuts, peanuts, and egg protein.